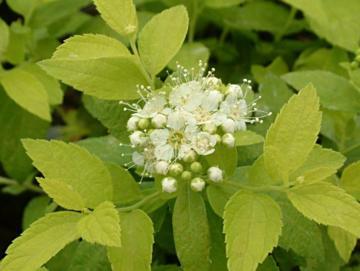 Small, compact shrub with yellow leaves and dense heads of white flowers in early summer. Best in well drained fertile soil in part shade. Derived from Spiraea japonica var. albiflora, raised by Peter Catt and covered by Plant Breeder's Right.